Keeneland Racecourse is a well known Thoroughbred horse racing venue located at Lexington, Kentucky. 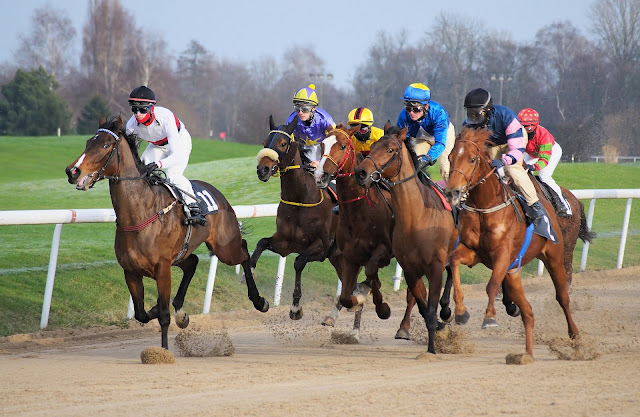 It is operated by the Keeneland Association, Inc., and also features an excellent reference library for the horse racing fans and researchers. In the Horseplayers Association of North America rating of 65 Thoroughbred tracks, Keeneland ranks #1. Keeneland is also listed on top of the National Register of Historic Places. Keeneland Race Course conducts live races during April and October from 1936 onwards. The 15-day spring meet conducted here one of the riches in North America in which 15 graded stakes race, considered as a trial for the famous Kentucky Derby. The 17-day fall meet may feature 17 graded stakes, considered as prep for Breeders' Cup. Keeneland boasts of a very rich racing tradition. It was last among the North American tracks to broadcast the race calls over public address system, stopped in 1997. If you have seen the movie Seabiscuit, most of its scenes were filmed at Keeneland. The Breeders' Cup was held at Keeneland in the year 2015. It will further host Breeders’ Cup again in 2020. The dirt track of Keeneland is 1-1⁄16 miles oval, and there is also a turf 0.875 miles oval. There are two configurations in the turf track as the Keeneland Course with a temporary rail 15 feet out and the Haggin Course with no temporary rail. As discussed above, the racing seasons at Keeneland are every April and October. You can keep the below information handy to prepare for the race day at Keeneland. You can get more information about the ticket reservation, grandstand seating, other events, etc. at the portal. The gates for the public open by 11 a.m. on the race day. Usually, the admission fee is $5 per head. Admission is free for children below 12 years of age. The first race commences at 1:05 p.m. Races are run in every half an hour. The Mutuel windows at grandstand open by 12:30 p.m and Drive-thru wagering are open by 8 a.m.
Foldable chairs cannot be taken into clubhouse or Paddock, but are allowed at other areas. Alcohol, food, coolers, tents, grills, or selfie sticks are now allowed inside the admission gate. Soft checks on bags will be performed. Patrons may be asked to open their jackets and coats for visual inspection. Any traditional backpacks and book bags may have to be left inside your car. All bags will be inspected. Guests can bring in diaper bags, strollers, camera bags, etc. by meeting the Keeneland's discretion. Trained service animals are only permitted. However, service animals may not be permitted inside the Walking Ring or the Paddock. Any weapons or firearms and strictly not allowed inside the gates. There are varieties of parking options at Keeneland. There is free public parking on a first-come-first-serve basis available near to the Grandstand and also available at The Meadow and on The Hill, near to the entertainment center. You can explore the Keeneland Race Day App, which features the grounds map, 360° tour of Keeneland, and guide to handicapping and enjoy the race day at Keeneland at best.